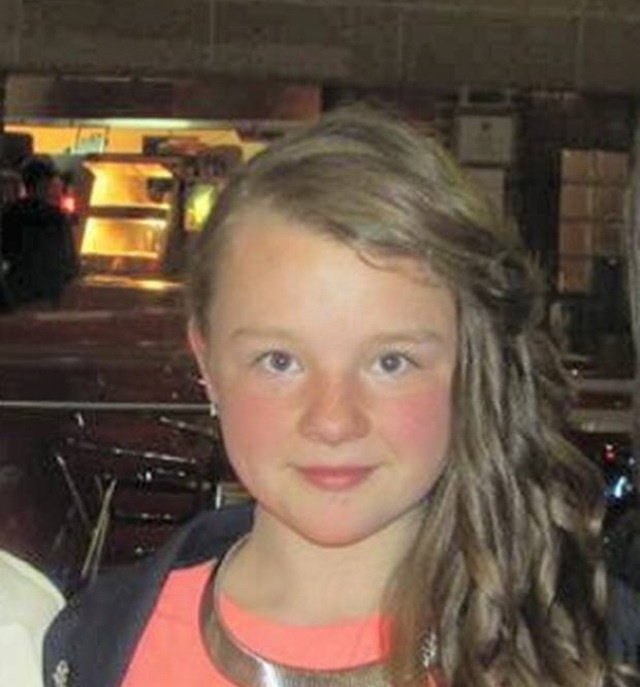 A year after a 13-year-old Donegal girl died in a car crash – her brother has penned a touching poem in memory of her. 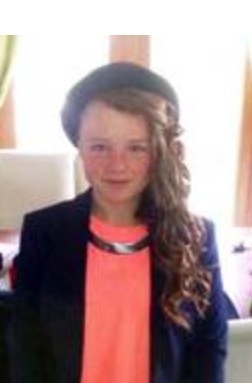 Georgia Doherty from Redcastle, Co Donegal, died in a crash in Derry last February. A family and community lay in shock and hundreds attended her funeral. 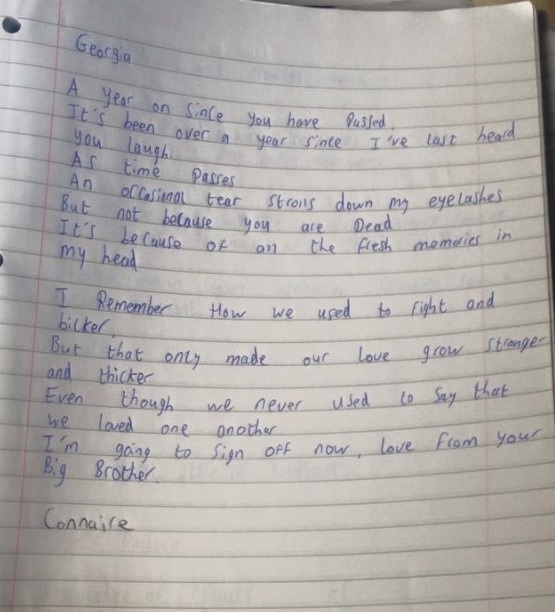 One year on the young Celtic fan’s older brother Connaire, wrote the touching poem describing his love for Georgia. Connaire wrote of the innocent brother-sister relationship familiar to so many Irish families. Connaire told Ireland Today: “After a year it doesn’t get much easier. “We all miss her more and more every day. “As a family we are strong and with the help of our family and friends we would never be doing as well as we are. The poem simply named ‘Georgia’ reads: “A year on since you have passed. “It’s been over a year since I’ve last heard you laugh. “As time passes. An occasional tear strolls down my eyelashes. “But not because you are dead, it’s because of all the fresh memories in my head. “I remember how we used to fight and bicker. “But that only made our love grow stronger and thicker. “Even though we never used to say that we loved one another. Georgia died when the car she was a passenger in was in collision with another vehicle. She was a first year pupil at the local Moville Community College. 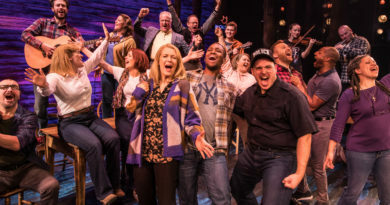 Georgia’s family referred to her as their “happy go lucky superstar” and that is how she has been remembered since. 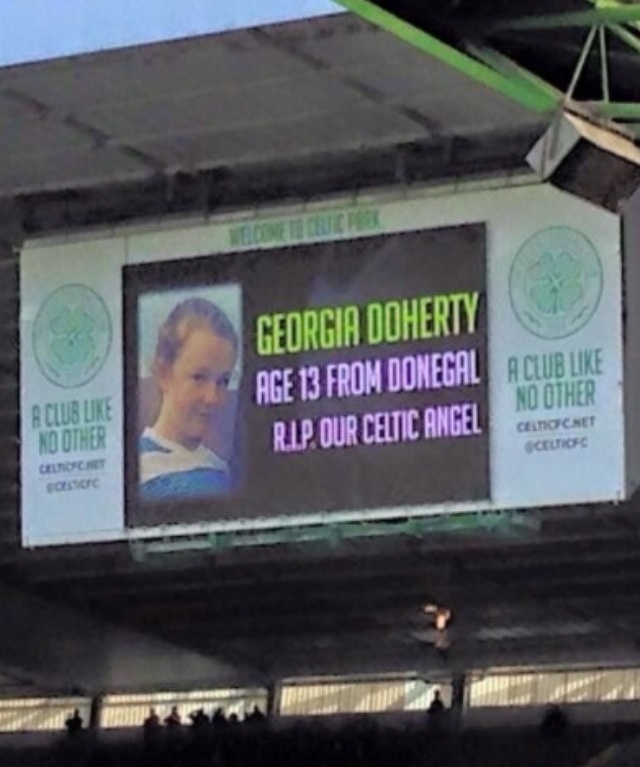 On the weekend following Georgia’s death, Celtic FC paid a fitting tribute to the young Donegal girl. Georgia’s family say her life has been celebrated in so many ways over the past year. A variety of sporting events, discos and other community tributes have been held in Georgia’s memory. The teenager was a talented young sportswoman and was well known for her exceptional soccer skills. The schoolgirl played at both local and regional level – and she was a dedicated Liverpool and Celtic fan. Connaire originally posted the poem to his sister last week on Facebook and it gathered an outpouring of love from the community and across Ireland. Something in the simplicity of the poem and the familiarity of siblings having arguments, resonated with so many families. 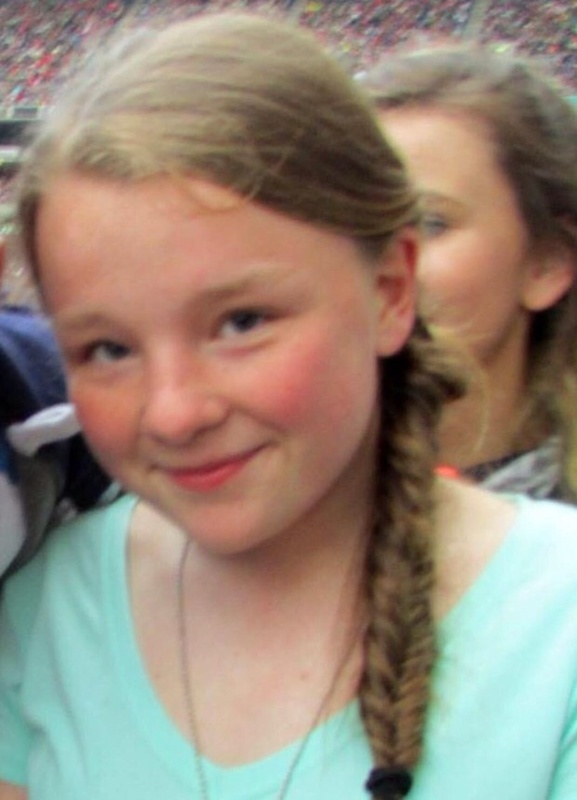 But the tragic fact Connaire’s sister died at such a young is also a reminder to families how fragile life is. Photographs of Georgia show a happy, young smiling face. Those that knew her understood she had the world at her feet. After her death, teenagers began paying very emotional tributes to her. Georgia was a young girl so clearly loved by all those who knew her. One friend said on her anniversary: “Goodbyes are not forever, they are not the end. Another posted online: “Death leaves a heartache no one can heal. Georgia’s friends and family continue to celebrate her life every day.